Janice R. Love is the bestselling author of One Plus One Equals Ten: A First Lady’s Survival Guide for Stepmoms and the upcoming Divorced and Highly Favored. A native of Tulsa, Oklahoma, Janice earned a Bachelor’s degree in Psychology from Virginia State University and a Master’s of Science in Biological Psychology/Health Psychology from the University of Oklahoma. Janice delights in teaching and training, and does so in her professional career as the Director of Training and Development for a Community Health Center in Kansas City, Missouri. As the Director of Christian Education for her church, she provides spiritual guidance to ministry leadership, and regularly instructs Sunday School classes. As a First Lady, she ministers directly to women by facilitating bible study groups and delivers inspiring messages to Christian assemblies throughout the state of Kansas. 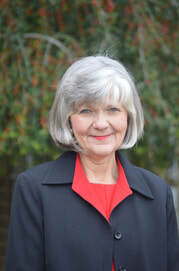 After experiencing the unique challenges of a blended family of eight children, Janice trained under world renowned stepfamily expert and founder of The Stepfamily Foundation, Incorporated, Dr. Jeannette Lofas, and earned credentials as a Certified Stepfamily Coach. Along with her husband, Rev., Dr. Bobby L. Love, she is the cofounder of Step with Love, a ministry that offers blended family counseling, coaching and seminars for individuals, couples, and families. The couple also provides assistance to churches, offering enlightenment on the unique dynamics of the blended family. They reside in Olathe, Kansas. 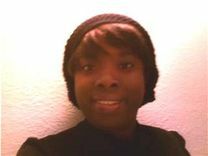 Visit her websites at www.janicelovebooks.com and www.stepwithlove.org. Nancy Sweetland has been writing professionally since selling her first essay to Family Digest Magazine in 1962. Since then she’s sold over 350 feature articles, 100+ adult short stories; poems to both adult and juvenile magazines, 65+ children’s magazine stories and seven picture books. She’s been awarded regional and national awards in adult and juvenile fiction and poetry, essays, commercial copy writing and outdoor writing. Her published titles include THE DOOR TO LOVE (2009) and WANNABE (2011) THE VIRGIN MURDERS and THE SPA MURDERS, amongst others. Writing colors her life and the way she looks at the world around her. 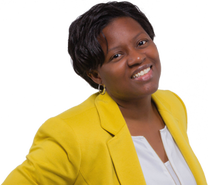 Sharise Kent has been motivating, guiding and coaching millennials to academic and career success for nearly 15 years. She specializes in working with high school and college students as well as recent college graduates to land internships and plan their careers. Sharise has drawn from her experiences in personally interviewing, mentoring and coaching hundreds of students and reviewing thousands of resumes, to craft her debut book, The Internship Manual: A Step-by-Step Guide to Getting the Internship of Your Dreams . As the previous senior manager for a national college internship program, she oversaw the placement of more than 400 interns with major companies including AMC Networks, CBS, ESPN, HBO, the National Basketball Association, NBCUniversal, Paramount Pictures, Verizon, Viacom Media Networks and others. She holds a B.S. in Communications-Public Relations from the State University of New York (SUNY) at Oswego and an M.S. in Professional Writing from Towson University. Originally from Rochester, NY, Sharise and her husband live in Maryland with their son. 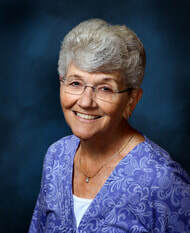 Deborah Crocker received a Bachelor of Science in Education from the University of South Alabama, and is a retired special education teacher. She enjoys using social media to help motivate others in their weight loss endeavors, currently maintaining the blog, Talking to My Weight Loss Counselor—God. Deborah resides in Mobile, Alabama with her husband of 42 years. The God Plan is her first book. Janell is the author of thriller & mystery short stories including Grave, Vanity, and Summer Secrets & Sins (which appears in the Four Seasons of Love anthology). Janell has always been fascinated with the struggle between good and evil, and enjoys the challenge of writing suspenseful tales with spiritual themes. 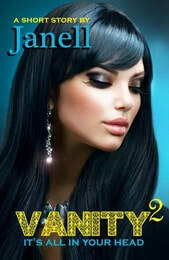 Janell's short stories have been acclaimed by many as "the best short story I have ever read." Expanding into novels, her first thriller, Spell was released in 2013, while Janell's newest novel, Suicide Watch, is set to release in July of 2015. 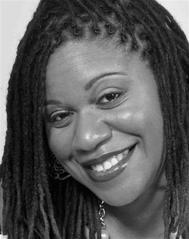 In her "other life," she is a college professor and an award-winning author of inspirational fiction and nonfiction. She resides in Georgia. Irvine Saint-Vilus is the author of the faith-based novels Even Me and Running from My Life. 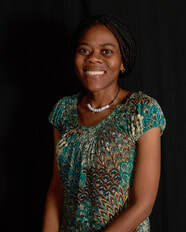 She enjoys writing Christian fiction stories that address serious societal issues. Irvine received a Bachelor’s degree in English at the University of North Carolina at Charlotte and a Master’s degree in Divinity at Liberty University in Lynchburg, Virginia. 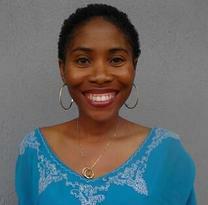 She currently resides in Lynchburg where she works in the public school system and is involved in ministry activities. Vanessa Niki Davis joins Divine Garden Press as a contributing author to the Four Seasons of Love romance anthology. She obtained her B.A. in Creative Writing from California State University: Long Beach. Immortal Spring is her first published work. She currently resides in California. Kesha K. Redmon joins Divine Garden Press as a contributing author to the Four Seasons of Love romance anthology. She is the author of the contemporary fiction novel On My Own, and moonlights as a toxicologist. She currently resides in Memphis, TN where she is working on her next project.